Chocolate. Books. Bacon. 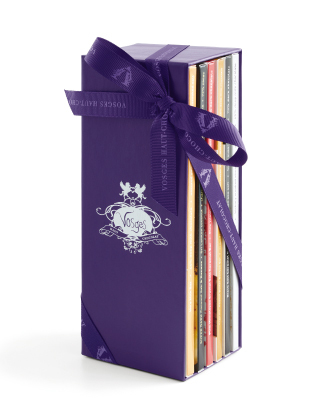 What's not to love in the Vosges chocolate bar bookcases? Where's the bacon? In one of the chocolate bars. But if you're not ready for bacon in chocolate, you can also have flavors like Vanilla Rooibos Tea, Tumeric Ginger, Sea Salt, Caramel Toffee and Dulce de Leche. 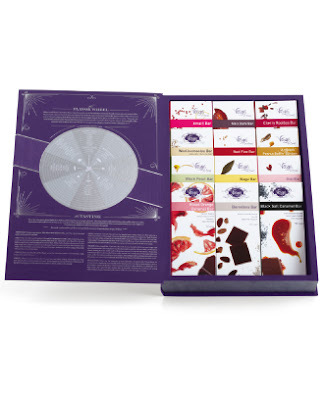 Vosges lets you mix and match in the bookcase above and gives you the sixth bar free (although at $40 for six chocolate bars, it's still not cheap). 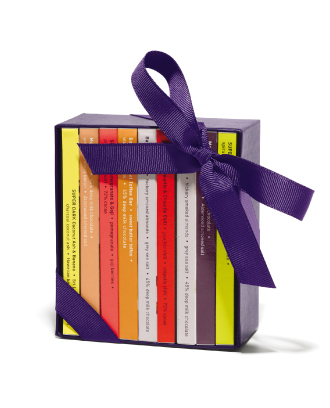 There's also a mini bookcase option for $25 that comes in the bacon flavors or the exotic flavors. If you want to go big to impress your valentine, there's also an option with 12 candy bars for $105. Here it is in the store in all it's beauty. I recently visited their Chicago store for a tasting, and I have decided that their caramel bars are by far my favorite.